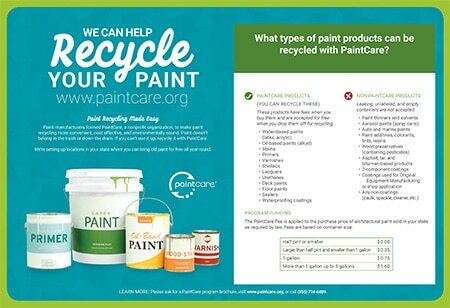 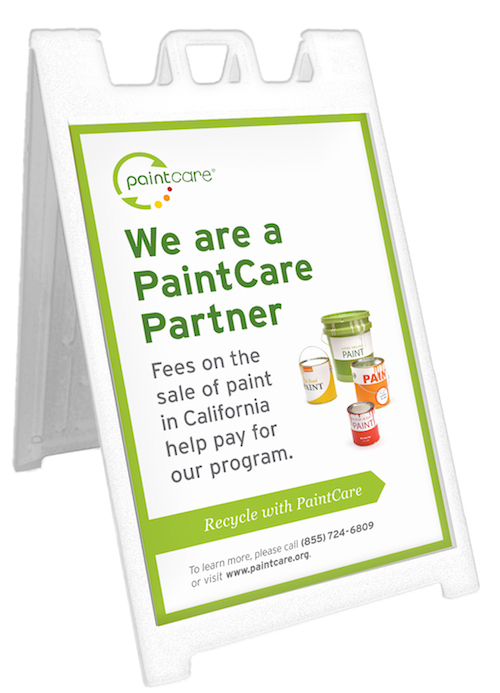 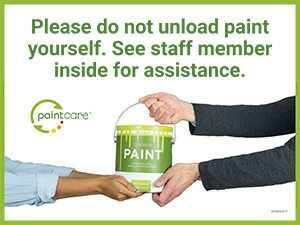 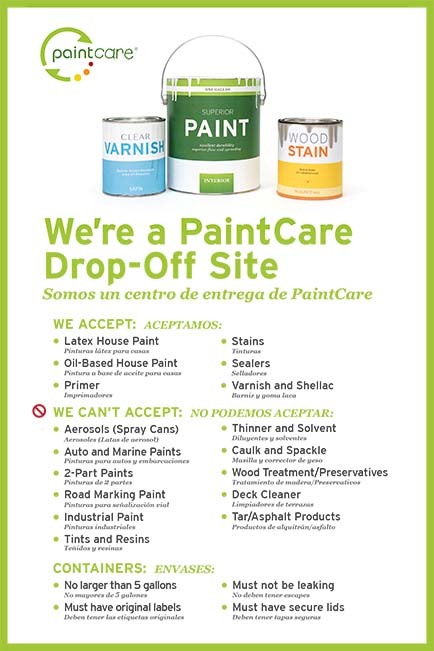 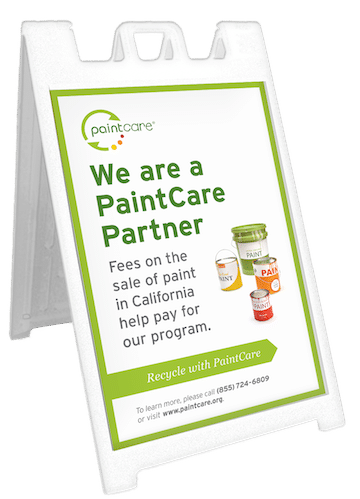 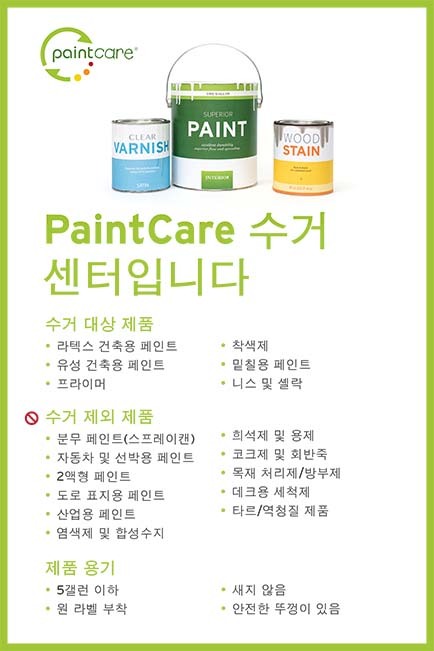 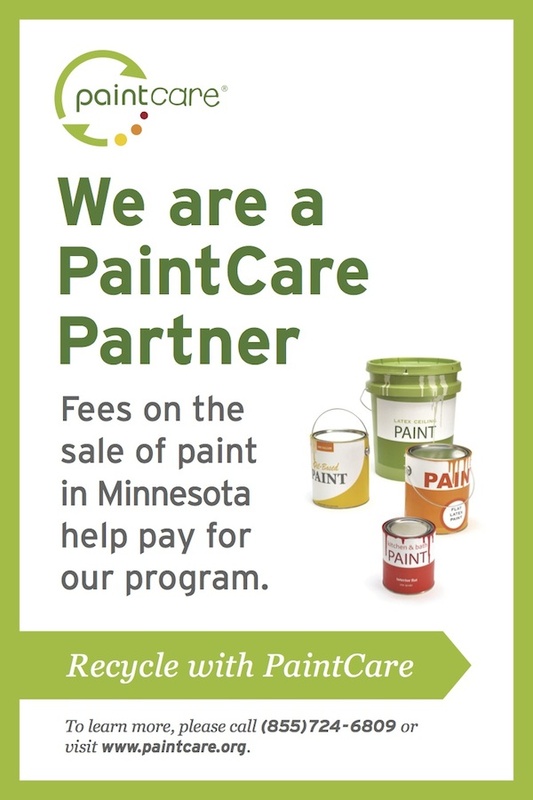 PaintCare Inc. Signs for Drop-Off Sites - PaintCare Inc.
Visit our online sign order form to order signs and countermats. 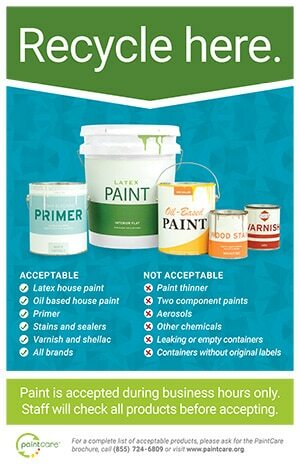 A PDF order form is also availble. 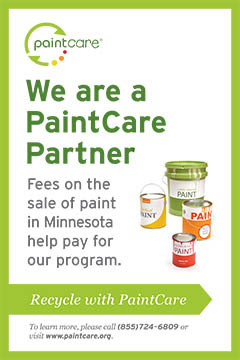 You can submit your PDF order form by email or fax – (855) 385-2020. 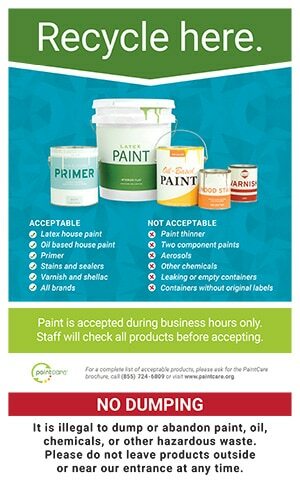 For paint counters and checkout stands. 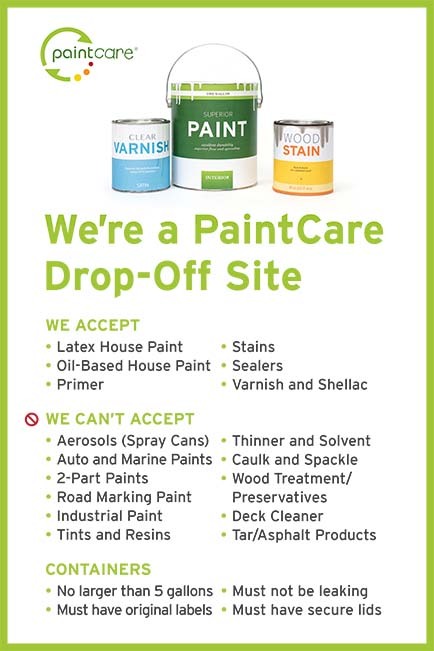 also available with No Dumping extension. 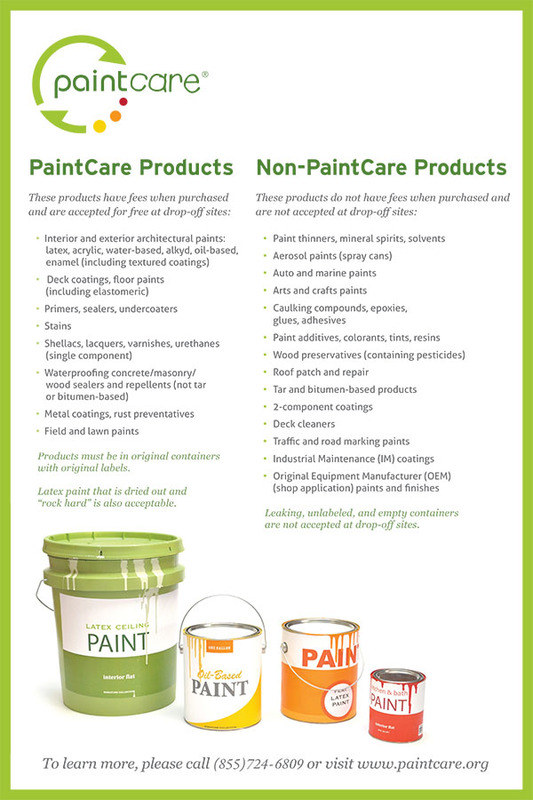 Simplified list of products covered by PaintCare. 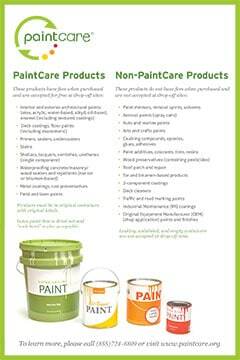 Detailed list of products covered by PaintCare.